For this particular O/X Event, we will be distributing "Double Rewards" (e.g. 4x GM Gift Certificates instead of the usual 2x & two different sets of boxes rather than one) as a huge thank you for everyone's continued support of the server (and because Raymonf didn't see our prizes from the last thread)! Join us on our special 15th O/X Quiz on January 26, 2019 at 10:30 p.m. (EDT)! 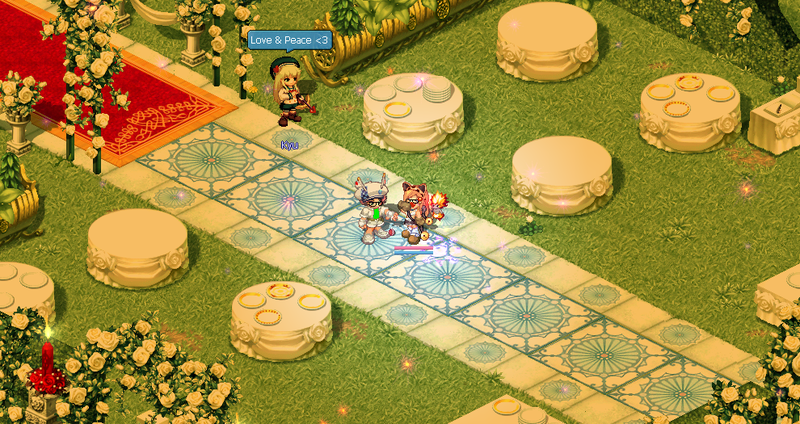 Interested players may proceed to Event Garden - Ceremonia to get a chance to participate in the quiz. 1. PLEASE TAKE YOUR PETS OFF WHILE WAITING IN EVENT GARDEN OR WHEN INSIDE THE O/X QUIZ MAP. REMINDERS AND WARNINGS WILL BE MADE IN-GAME. THE GMs WILL MOVE YOUR CHARACTER TO MEGALOPOLIS IF YOU FAIL TO FOLLOW THIS SIMPLE RULE. TROLLS WHO PERSIST TO BREAK THE RULE REPEATEDLY AFTER SEVERAL ﻿WARNINGS AND CHARACTER TRANSFER WILL BE TEMPORARILY IP BANNED FOR 4 HOURS. 2. 1 CHARACTER PER USER. ANYONE FOLLOWING (RIGHT CLICK > FOLLOW PLAYER) A PLAYER WILL BE ASSUMED AS AN ALT OR A MULE AND WILL BE KICKED FROM THE O/X QUIZ MAP WITHOUT ANY WARNING. Join us on our 16th O/X Quiz on March 30, 2019 at 10:00 p.m. (EDT)! Interested players may proceed to Event Garden - Ceremonia to get a chance to participate in the quiz. As it has been a while since we've hosted an O/X Quiz, we've decided to tweak the prizes a little! For this particular O/X Event, we will be distributing "Double Rewards" prizes (e.g. 4x GM Gift Certificates instead of the usual 2x & two different sets of boxes rather than one) as a huge thank you for everyone's continued support of the server! Join us on our special 14th O/X Quiz on January 19, 2019 at 10:00 p.m. (EDT)! Interested players may proceed to Event Garden - Ceremonia to get a chance to participate in the quiz. 1. PLEASE TAKE YOUR PETS OFF WHILE WAITING IN EVENT GARDEN OR WHEN INSIDE THE O/X QUIZ MAP. REMINDERS AND WARNINGS WILL BE MADE IN-GAME. THE GMS WILL MOVE YOUR CHARACTER TO MEGALOPOLIS IF YOU FAIL TO FOLLOW THIS SIMPLE RULE. TROLLS WHO WILL PERSIST TO BREAK THE RULE REPEATEDLY AFTER SEVERAL ﻿WARNINGS AND CHARACTER TRANSFER WILL BE TEMPORARILY IP BANNED FOR 4 HOURS. 2. 1 CHARACTER PER USER, ANYONE WHO'S JUST FOLLOWING (RIGHT CLICK > FOLLOW PLAYER) A PLAYER WILL BE ASSUMED AS AN ALT OR A MULE AND WILL BE KICKED FROM THE O/X QUIZ MAP WITHOUT ANY WARNING. Note: These rewards will be used 1/26/2019. 1. PLEASE TAKE YOUR PETS OFF WHILE WAITING IN EVENT GARDEN OR WHEN INSIDE THE O/X QUIZ MAP. REMINDERS AND WARNINGS WILL BE MADE IN-GAME. THE GMS WILL MOVE YOUR CHARACTER TO MEGALOPOLIS IF YOU FAIL TO FOLLOW THIS SIMPLE RULE. TROLLS WHO WILL PERSIST TO BREAK THE RULE REPEATEDLY AFTER SEVERAL WARNINGS AND CHARACTER TRANSFER WILL BE TEMPORARILY IP BANNED FOR 4 HOURS.